Olympiacos is waiting for patiently another season to end. Despite their recent (first) defeat from AEK, they still enjoy a safe distance of 16pts from the second place in Super League. This season they had high hopes they would take that extra step in the Champions League but Arsenal had other plans in the last match of the Group Stage (0-3). According to their statements, they are interested in the Europa League as well and their current opponent at the Round of 32, Anderlecht, makes their fans optimistic they can qualify to the next round. Especially when the rematch will be held at Karaiskakis. *Referee: Ivan Bebek (CRO). The 38 years old referee started his international career on 28/07/09. His record in season 2015-16 has a total of 3 matches, one for the Champions League (Real Madrid – Shakhtar 4-0) and two for the Europa League (Qabala – Borussia Dortmund 0-3 and Tottenham – Monaco 4-1). He used the yellow card 4 times in each match and he sent off one player (second yellow in Shakhtar). Anderlecht currently holds the third place in Belgium’s Jupiler League. They are only four points away from Club Brugge and Gent who share the first place at the moment. They have 6W-4D-1L in their last 11 domestic matches but their only defeat was in their most important match against Gent (2-0 away). Another interesting fact is they kept a clean sheet in only three of those matches. Like Olympiacos, they are interested in the Europa League but they also have an extra motive. Their unfair home defeat from Olympiacos (0-3 in season 2013-14) is not forgotten and this is an excellent chance to prove they did not deserve it. Coach Besnik has the support of the officials although his results could be better and he is definitely interested in a win. Olympiacos suffered the first domestic defeat of the season last Saturday in the rivalry away battle against AEK (1-0). The Champions complained a lot for the decisions of the referee who sent off two of their players (47’, 76’) allowing AEK to get a serious advantage. They conceded the goal (78’) when Vargas scored following the unsuccessful penalty kick of Buonanotte. For the record, they were in control until their first player was sent off although neither of the two rivals had any good chances for a goal until that moment. Coach Silva and his players want to get back to wins starting from today in this important match. Jupiler League is a stronger competition than Super League and this is can work for the benefit of Anderlecht. You see, Olympiacos is practically out of motive and they are waiting for their Cup and Europa League matches to feel the tension of a real game. This is exactly I do not trust them at the moment. The two rosters are close in terms of market value and normally they will perform better in their own venues. An away goal for both of them will be very important. 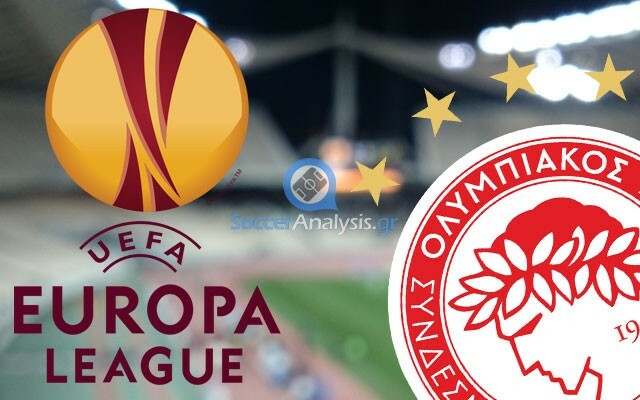 The good news for Olympiacos is they come from a defeat and they will give their best to avoid a second one in a row. Especially in a European match where they have more in stake. As I said, I do not trust them so much for the win but I am confident they can score like they did in their difficult away matches in the Champions League earlier this season. For all the above I believe we’ll see goals from both sides.